The Fit Fifteen podcast show is back! 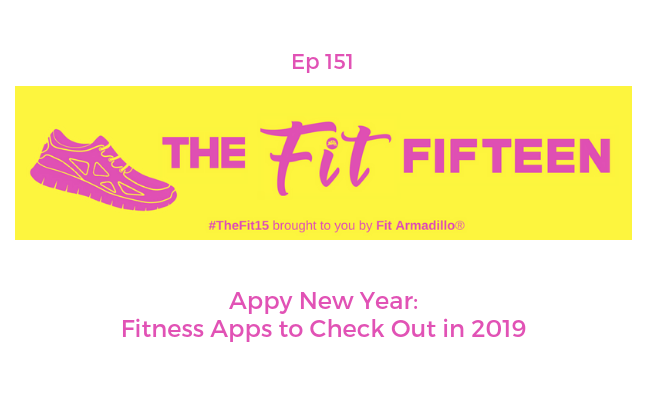 In this first episode of 2019 I share the fitness apps I regularly use and love as well as health and fitness apps you might want to check out from past guests of the show. If you don't have a personal trainer or workout buddy to help hold you accountable, you'll love learning about three apps that include supportive fitness communities at no extra cost. I also share a few running focused apps like the one we've been the first to test out here on the west coast. Learn more about that and the fun run at the Hermosa Beach, CA farmer's market I'll host next month where you'll be able to try the app. Have a favorite app I didn't mention? Be sure to add it to the show notes page. Learn more about online classes HERE.